Book Review: Wines of Eastern North America, by Hudson Cattell. 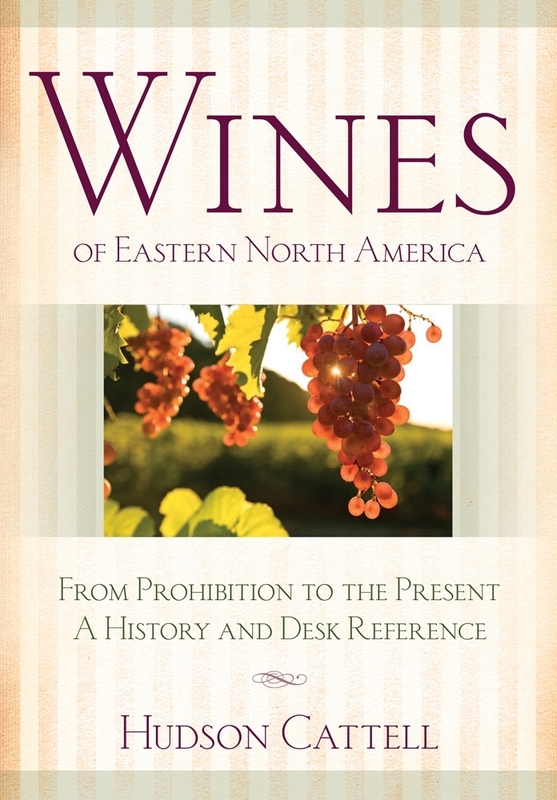 Hudson Cattell’s Wines of Eastern North America: From Prohibition to the Present, A History and Desk Reference (Cornell University Press, Ithaca, 2014), is an important new book on the history of the wine industry in the East, covering both Canada and the United States in equal measure. It is a scholarly work and is meant for a fairly narrow audience: wine professionals, others in the wine trade, and really serious wine lovers. Cattell (born in 1931), has been covering the wine industry east of the Rockies since 1976 had has published numerous books and articles over the years, covering not only the Eastern United States but Eastern Canada as well. In those 37 years he has traveled throughout this vast region and met nearly everybody who mattered in the wine trade. He clearly has a profound knowledge of the region, the people, the soils, the varieties, the wines, the laws, and the controversies about almost everything bearing on the vines and wines of Eastern North America. In 2012 he received a Lifetime Achievement Award at the first Eastern Winery Exposition held in Lancaster, Pennsylvania. 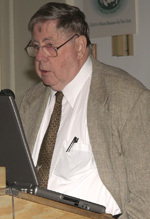 A 2007 article in the Cornell University Library Website, “Noted Wine Journalist Speaks at the Lee Library, Geneva” (http://www.library.cornell.edu/insidecul/200705/#noted) mentions that “Cattell learned on the job. On his first visit to a winery in Pennsylvania he drove right by the winery’s vineyard. ‘I knew absolutely nothing about grapes and wine,’ he said. ‘In fact, I didn’t even realize they were grapevines.’” A portion of his education came from Liberty Hyde Bailey’s The Evolution of Our Native Fruits. His knowledge and expertise show on every page of the book under review. The chapters are arranged both chronologically and thematically. The first chapter provides the historical background of the wine industry in the United States and Canada from pre-Prohibition days through Prohibition and its devastating effect on the industry to its still-lingering effects after the passage of the Twenty-Fourth Amendment. State and provincial retail monopolies such as those in Pennsylvania and Ontario come out of this, as does the three-tier system that defines wine and liquor sales throughout the United States. At the conclusion of the chapter is an interesting bit about Charles Fournier, the French-born winemaker at Gold Seal Vineyards. He was from Champagne and had succeeded his uncle as winemaker at Veuve Clicquot Ponsardin. Personal tragedy was a factor in his decision to come to the States. One of his early projects had to do with the legalization of the use of the term “champagne,” which by Federal statute of 1934 had to be “a type of sparkling white wine which derives its effervescence solely from the second fermentation of the wine within glass containers of not more than one gallon capacity, and which possess the taste, aroma, and other characteristics attributed to champagne as made in the Champagne district of France.” In 1970 Fournier would write of how proud he was “of the success of the New York State champagne industry.” Yet, he was using American and French-hybrid varieties such as Catawba, Delaware, Dutchess, Elvira, and so on. By the ’90s, of course, EU laws would ban the use of the term “champagne” for any sparking wine not made in the eponymous region, but firms using that term before the EU law was passed had “grandfathered” the right to continue to use it, so today we still have older sparkling wine producers using the word “champagne”–note the use of the lower case. Chapter Two is devoted to Philip Wagner and the arrival of French hybrids in the United States. Wagner, a newspaper reporter and editor, would prove to be one of the most important and influential individuals in the Eastern wine industry. From his struggles as a tyro winegrower in the early thirties, by 1933 he had published the first book in America on winemaking: American Wines and How to Make Them. Having limited success with vinifera varieties, he began experimenting with hybrids. In 1939 he imported Baco No. 1 cuttings from France via Frank Schoonmaker–the legendary wine guru of the post-Prohibition era–and from that shipment were to come all future Baco Noir vines in the United States. In fact, it was the first importation of hybrids from France, and by 1951 Wagner and Boordy Vineyards (which he founded in 1945) was the major disseminator of these varieties, among them: Seibel 6339, Seibel 1XX, Seibel 1000 (Rosette). And so it goes for thirteen chapters illustrated in black & white images with the occasional table–ample text loaded with facts, data, anecdotes, and stories of individuals, such as the Hargraves and Lucie T. Morton, wineries like Taylor Wine or Wollersheim Winery of Wisconsin, as well as organizations such as the Vintners Quality Association of Canada (VQA) or the Pennsylvania Premium Wine Group. No one and nothing seems to have been overlooked. The result was that de Chaunac went back to Brights and soon had some twenty French hybrids and a few vinifera varieties ordered from France. Commercial plantings began with 40,000 vines in 1948. In addition, thanks to advances made at Brights with regard to controlling downy mildew with sulfur on a regular schedule rather after it first appeared in the vineyard meant that the imported vines had a much better chance of survival. In fact, by 1955 Brights had produced the first commercial vinifera wine in the East: a Pinot “Champagne”. The following year Brights brought out a Pinot Chardonnay table wine (as the variety was then called). Ohio is a good example of how a state got started on a wine grape program based on the French hybrids. The first French hybrids to arrive in Ohio were cuttings of Seibel 1000 (Rosette) obtained by Mantey Vineyards in Sandusky and sent to Foster Nursery in Fredonia, New York, to be grafted on Couderc 3309 rootstock. In 1954, Meier’s Wine Cellars in Silverton, ten miles from Cincinatti, planted Baco No. 1 (Baco Noir), Seibel 5898 (Rougeon), Seibel 1096, and Seibel 4643 on North Bass Island (Isle of St. George) in Lake Erie. But then, it must be realized that this is most emphatically a History and Desk Reference. The book is amply annotated and has an extensive bibliography. It is not only suitable as a reference but is, thanks to its wealth of anecdote, readable and enjoyable as well. How can one not be delighted by an anecdote like this one, on p. 125, “Grapevines from Canada were exempt from quarantine, and some of the earliest plantings of the French hybrids in the Finger Lakes took place in the 1950s when truckloads of cuttings crossed the border after pruning was completed in Canadian vineyards.” Who would have guessed the source of French hybrids in the Finger Lakes? Here and there are some minor errors. For example, on p. 117, on the history of the beginning of appellations of origin, he cites 1905 in France as the onset of AOCs, but overlooks the earlier history of designated regions in the Port region of Portugal in the Eighteenth Century. Another minor mistake: “Sugar and water were added to the pomace [should be must] to make the wine potable.” But I quibble. After all, as a proper work of reference Cattell has this to offer: The first petition for an American Viticultural Area designation was for Augusta in Missouri, applied for on Oct. 12, 1978 and granted June 20, 1980 as AVA #1; AVA #2 was Napa Valley, granted on Jan 28, 1981. He goes on to explain that the with the establishment of the Augusta Wine Board in 1979, standards were to be based on those in use in Europe—in fact, four of the five designated board members were also members of the Commanderie de Bordeaux. With respect to marketing, Cattell discusses how cooperative marketing began with the establishment of the first wine trails. The very first was created informally in Pennsylvania in April 1979. 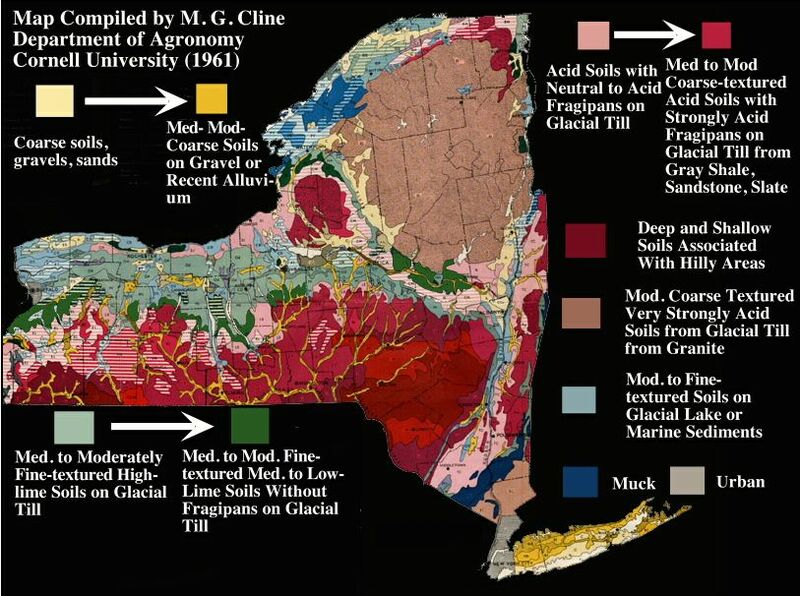 The first formal wine trail was later established in New York State in 1983 with the Cayuga Wine Trail. With funding from the New York Wine & Grape Foundation, the Keuka Lake Wine Trail was created on June 18, 1986, so that by 1996 there were six wine trails in New York State. Benefits of the wine trails included extending the tourist season from Columbus Day to end of the year, the establishment of new restaurants and B&Bs, and the rise of all manner of special events. Another interesting factoid: “The success of the VQA in Canada was a factor in the decision to set up the New Jersey Quality Wine Alliance (QWA).” The program was inaugurated in 2000 in conjunction with the NJ Commercial Wine Competition. Table A.2. Vitis vinifera: lists the 36 vinifera varieties most planted in Eastern N.A. Table A.5. North American breeding programs: lists varieties by variety, number, cross, date introduced, and date crossed. The list of varieties are arranged according to the program that developed them; e.g., NY State Agricultural Experiment Station breeding program. Table A.6. Independent breeding programs; e.g., Elmer Swensen and his varieties. Appendix B contains a quite interesting exploration, in brief, of how numbered hybrids like Seibel 5279—developed by Albert Seibel in France, was given the commercial name “l’Aurore”–because it was very early-ripening. There are two tables. Alabama, Arkansas (one page), Connecticut (one page), Delaware (one short paragraph), Florida, Georgia, Illinois, Indiana (one page), Iowa, Kansas, Kentucky, Louisiana, Maine, Maryland, Massachusetts (one page), Michigan, Missouri (one page), Nebraska, New Hampshire, New Jersey (one page), New York (over three pages: The Finger Lakes, Hudson River Valley, Lake Erie, and Philip Wagner, Boordy, and Seneca Foods; curiously, with no section devoted to Long Island or a word about the Niagara Escarpment), North Carolina, Ohio (almost two pages), Pennsylvania (nearly two pages), Rhode Island, South Carolina, Tennessee, Vermont, Virginia (a page and a half), West Virginia, and Wisconsin. It ends at Appendix G, lists, by state, the American Viticultural Areas in the East. Thirty-seven years of experience studying and writing about the wine trade in the East were necessary to write a book of this scope and completeness. It could not have otherwise been written. by Hudson Cattell. Ithaca: Cornell U. Press, 2014. 235 pages of text with b/w illustrations, 7 maps; 7 appendices (A-G) taking up 75 pages, including tables; and 36 pages of extensive endnotes. 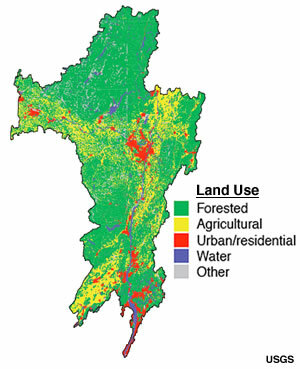 This entry was posted in Miscellaneous, References, Vineyards, Vinification, Viticulture and tagged Adhemar de Chaunac, Alcohol Equivalency Campaign, American Viticultural Area, AVAs, Baco hybrids, Boordy Vineyards, Brights Wines, Canandaigua, Charles Fournier, Concord wine, Constellation Brands, Eastern Wine, Farm wine law, Finger Lakes wines, French hybrid, fruit wine, GATT Ontario, Gold Seal Vineyards, Gold Seal Winery, Hammondsport, Hudson Cattell, Konstantin Frank, Kosher wine, Lake Erie wines, LCBO, Liquor Control Board of Ontario, Neo-Prohibitionism, New Jersey wines, New York Agricultural Extension Program, New York champagne, Niagara Peninsula, Nova Scotia wine, Ontario Wine, Philip Wagner, Pleasant Valley Wine Company, Quebec wine, Siebel hybrids, Taylor Wine Company, The French Paradox, Vintners Quality Alliance, Virginia wines, VQA, Wines of Eastern North America on 13 January 2014 by JoseM-L.